​The Queen's Hall Arts Centre is an event and exhibition space and live performance venue. It is also the home of the refurbished Hexham library and tourist information centre. 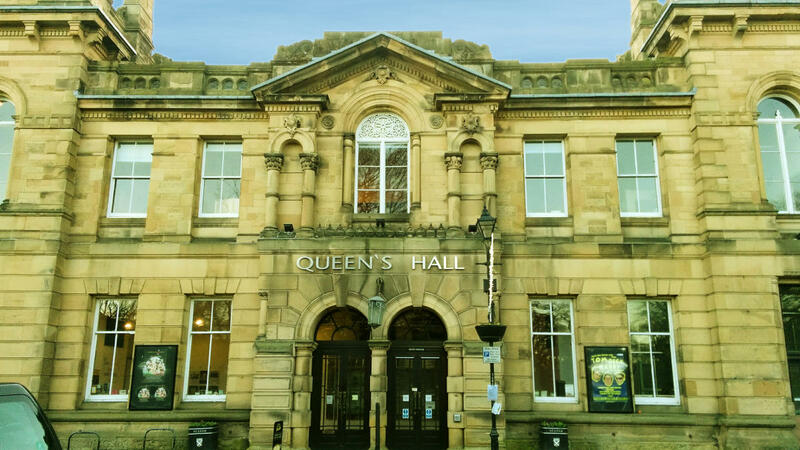 Housed in a striking Victorian building facing the park, the Queen’s Hall Arts Centre boasts a 350-seat theatre and two galleries, showing a busy programme of music, drama, dance, film, arts and comedy. The building also hosts Hexham’s library, a café and tourist information centre.